If you add 11% to the rent and cleaning fee you will have the correct total. Remember the 250 deposit is refundable. 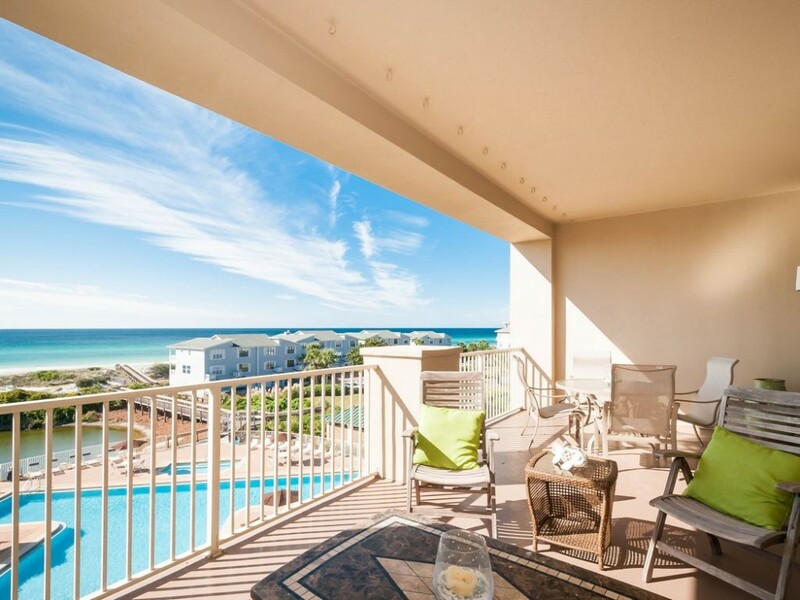 Enjoy Gulf views from this 3 bedroom, two bath, condo. It is a very short walk from the condo down to the beach. The master and guest bedrooms have king beds and the third bedroom is a bunk room with a door for privacy. The sofa is a queen sleeper. The condo is located on the fourth (top) floor. The condo's large private balcony (350 sq ft) overlooks the pool, private pond, and Gulf of Mexico. 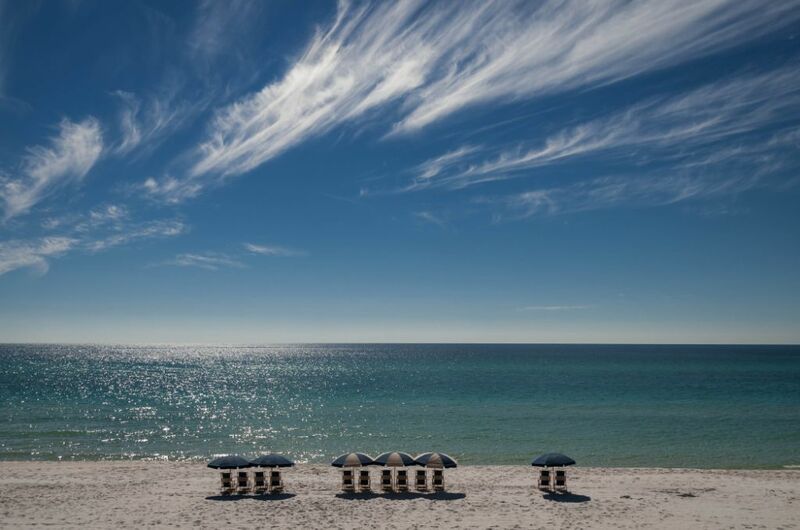 The condo unit has 1350 sq ft and is located on Santa Rosa Beach. The complex sets back a little because of the pond. This gives a lot of privacy to the condo. San Remo is gated for security. It also features a large pool side community room with full kitchen available for meeting, reunions, wedding receptions, etc. There is also an exercise room available with new equipment. We are located just half a mile from Gulf Place shopping and a couple miles from Grayton Beach. The condo is professionally decorated with beautiful furniture, art,and oriental rugs. Our patio is furnished with furniture that has made it an outdoor living area. It is very comfortable and relaxing! When you are not enjoying the beautiful beaches, you are just a short drive to a variety of restaurants and shopping. Challenging golf is available at Santa Rosa Country Club. San Remo is quiet and peaceful (no high rises, traffic or congestion) yet easily accessible to Destin and Panama City's many entertainment attractions such as the Gulfarium, scuba diving, Big Kahunna water park, fishing, dolphin cruises, roller coaster rides, and Silver Sands Outlet Mall (the largest shopping mall in the southeast). I have a list of area restaurants below. Sleeping accommodations include a king bed in the master with private bathroom, a king bed (second bedroom) and adjoining bath. Bunk beds are in the 3rd bedroom. The sofa is a sleeper sofa. Sleeps 8. Beach Service ( an umbrella and 2 chairs) is included in the rent from March 1 to Oct 31. 30-A has 18 miles of bike path. The Beach service also rents bikes, Paddle boards and kayaks on location. Come and enjoy a vacation that offers emerald green waters, sugar white beaches and a beautifully decorated condo. To see additional photos scroll down and click to see the slideshow. POOL HEATED Spring break (if needed), Thanksgiving weekend and Christmas holiday. Small house next to Local Catch. Make a reservation, only 8 tables. Great food and the price reflect this. Great for an adult evening, don’t recommend taking kids. Convenient fish market and upstairs is the restaurant. Kid friendly and a good lunch spot. Craft beer, no food. Sit on the patio and enjoy a variety of great beer. Occasional live music. Sushi and great Asian seafood dishes. Their Snapper dinner is excellent!! What a name!! Great food and get one of their t-shirts. They have a gift shop next door. Cajun influenced menu. Always busy so go early or be prepared to wait, they don’t take reservations.